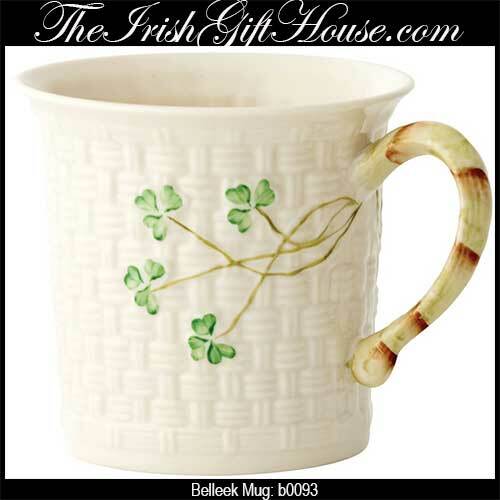 Belleek mug features Irish china that is enhanced with shamrocks and embossed with the basket weave motif. This Belleek mug is enhanced with their basket weave design along with hand pained shamrocks and an embellished handle. 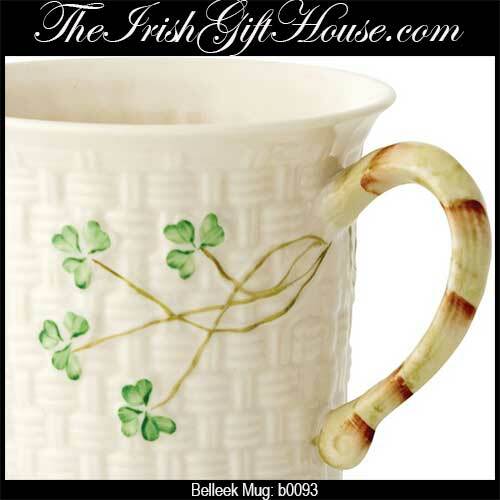 The shamrock mug is made of fine Irish china and measures 5" wide x 4" tall. The Belleek China mug holds 11 ounces and is safe to use in the dishwasher and microwave. Belleek basket weave mugs feature fine Irish china that is enhanced with shamrocks.